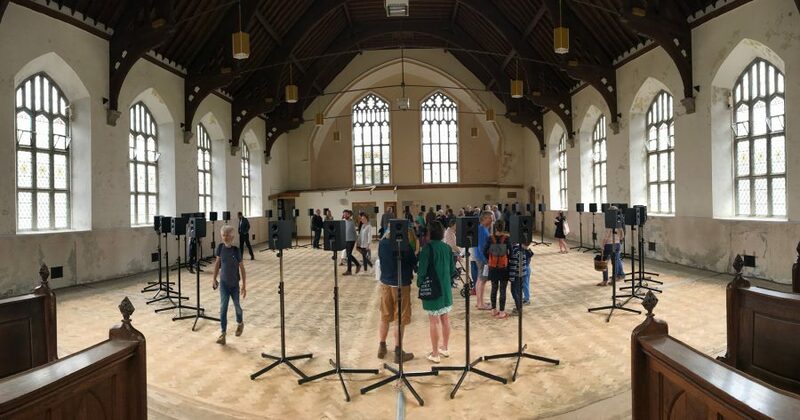 Janet Cardiff, ‘Forty Part Motet’ (2001), presented in Richmond Chapel, Penzance. Image: Steve Tanner © CAST (Cornubian Arts & Science Trust), 2018. A garden party to celebrate the opening of this exhibition takes place on Sunday 27 May, 2 – 4pm. Cream teas will be served in the chapel grounds. Free to attend, all welcome.